More than eighty of the world’s finest classic and modern cars will gather in the grounds of the Honourable Artillery Company within the heart of London for the 2nd London Concours, a spin off from the equally awesome Concours of Elegance. These Concours really are our very favourite classic car shows, and we would never what to miss it. So it gives us great pleasure to be offering 3 of our lucky readers the chance to win a pair to complimentary tickets to the 2018 event. So be quick and enter now. The London Concours 2018 will again be held in the Artillery Gardens of the Honourable Artillery Company’s (HAC) Headquarters in City Road just a few minutes’ walk from Liverpool Street and Moorgate stations. If you’ve never been I can tell you from personal experience it is beautiful. 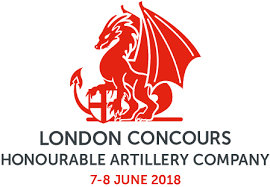 This years event will be held at the HAC on the 7-8th June 2018. This is one of, if not the premier UK Classic Car Shows, the ultimate UK Concours of Elegance. This year is the 2nd holding of the event. To be in with a chance of winning a pair of tickets simply leave a comment below and tell us what would be your favourite three cars to own. One should be a classic car, one a supercar, and one a hypercar. Remember we’d like to know why you’ve made those choices.  You could even drop a picture on our facebook page if you so wished so we can all take a look..
12 comments on "Win a pair of tickets to the 2018 London Concours"
Boss 429 Mustang, Shelby 427 Cobra and Aston Martin DB5 would be great to see. Love the Pagani John, it’s automotive art. All the best. cars producing a very impressive replica, so much so that it is a ‘real’ car in its own right, so in theory one could own a ‘new’ SS. For a supercar, and there are and has been quite a few over the years I would aim for an Italian and whilst I’m fond of the Mura maybe something which is a little more sorted and still sounds the business in the shape of a Ferrari 488. Yes I know that the engine is now turbo charged, but its still a gem and whilst it may not be too practical on the road, my word you would feel good. We cannot decide on a favourite classic, but me and hubby love to look at them all, such a great day out, fingers crossed we could win. Supercar: Lamborghini Miura: First of the breed and still the benchmark, yes please. Hypercar: Tricker one this ‘cos they are all so out of reach, put if pushed I’d say the McLaren P1 for it’s performance and links to the racing dynasty. Nice choice. I assume you mean the 2017 Ford GT? Now that’s an epic hypercar. My favourite classic car is-1957 Mercedes 300SL Gullwing it is because-The doors are only part of the reason this is one of the coolest cars to ever hit the pavement. The fact that the 300SL was the fastest production car at the time, means driving to your ad meetings in Manhattan wouldn’t be a bore and one coolest thing is that that time the opening doors. My favourite Super car is-Alfa Romeo Giuila Quadrifoglio it is because As with almost all Alfa Romeos, the new Giulia is both stylish and beautiful, but unlike some of it’s predecessors, this Alfa has added performance, handling and reliability to it’s long list of desirable attributes. My favourite hyper car is -Buggati Chiron Four turbochargers are configured to ensure peak torque is delivered from 2,000rpm all the way to 6,000rpm – and the car reportedly has a top speed of around 288mph, although it’s limited to 261mph on customer cars.It’s not exactly a ‘clean sheet’ replacement for the Veyron, as it carries over its basic architecture and a W16 engine. Really hard to choose just three cars but for the classic I’d go for something that turns heads and would hold its own in more costly company – a DeLorean (yes really). I love how it looks and thanks to a certain movie trilogy will always attract attention. For the supercar, again an “affordable” choice, the Aston Martin Vantage S – ideally in Cobalt Blue. Despite being a nearly 15 yo design, the Vantage has beautiful lines and proportions and a great presence. No such thing as an affordable hypercar so why bother trying – I’d choose a McLaren P1 beacause it’s such a beautifully fluid shape with awesome performance on road or track.